This story – actually a series of stories – is not about August's egg recall. The recall is not really a food processor's story, and this report was planned long in advance of that. But the egg recall brought many food safety issues back to the fore. And besides, a cracked egg makes a nice visual. When will some version of the Food Safety Modernization Act pass, and what will the "new" FDA look like? What regulatory changes are coming to track and trace systems? What can be done on the plant floor to improve product safety? For that last story, we were privileged to talk with the chief food safety officer of Maple Leaf Foods, who took on that title following a 2008 Listeria incident, which killed 22 people. 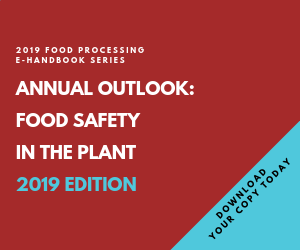 Rather than hide from the glare of scrutiny that follows such an incident, the Canadian meat company has been contrite and candid, vowing not only to become a leader in food safety but to share any knowledge it has on the subject with the rest of the food & beverage industry.